A full midweek propgramme in the Isthmian South saw Carshalton cruise to a 3-0 win at home to Molesey last night in front of just 137 whilst Tooting & Mitcham won 3-2 away at Chatham. East Grinstead 2 Dorking W 3, Faversham 2 Ramsgate 0, Greenwich B 4 Horsham 1, Herne Bay 1 Hastings 1, Hythe 1 Chipstead 1, Sittingbourne 4 Three Bridges 4, Whyteleafe 3 Godalming 1. Early days, there's a surprise, but just 3 teams remain with a 100% record - Faversham, Dorking Wanderers and the oft derided Carshalton. Tomorrow Cray Wanderers visit the ARS. With origins dating back to 1860 they've a bit more history than we have. Spent a few seasons in the Isthmian Prem not so long ago but following relegation had a couple of season in Division 1 North. Many consider D1N to be weaker than Division 1 South, Cray's time in the North saw a not too inspiring finish in 16th in the first season but they made the playoffs second time around. Saturday saw a 3-3 draw at home to Sittingbourne and Cray themselves have recognised a bit of good fortune - they were 3-1 down at one stage. Advantage must lie with GFC for this one, despite the defeat to Ramsgate who succumbed themselves tonight in their long trip to Faversham. 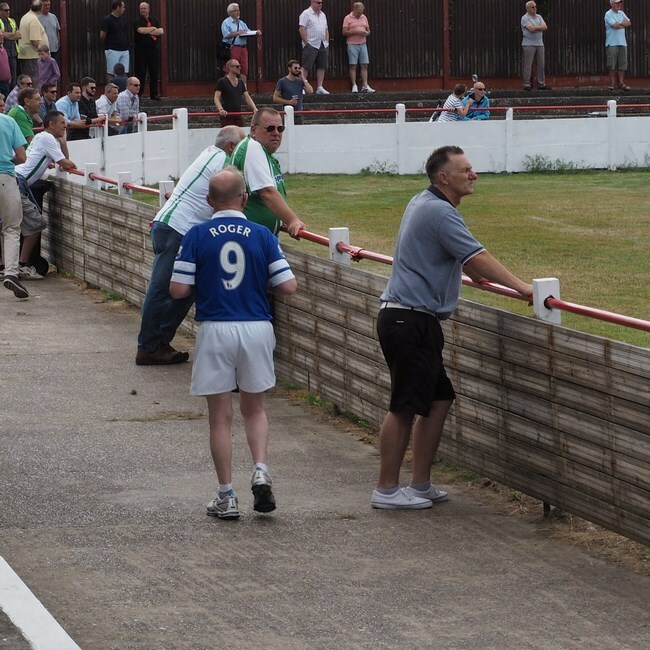 Before you head to dreamland tonight please spare a thought for people old enough to know better than to wear replica shirts and shorts out in public.